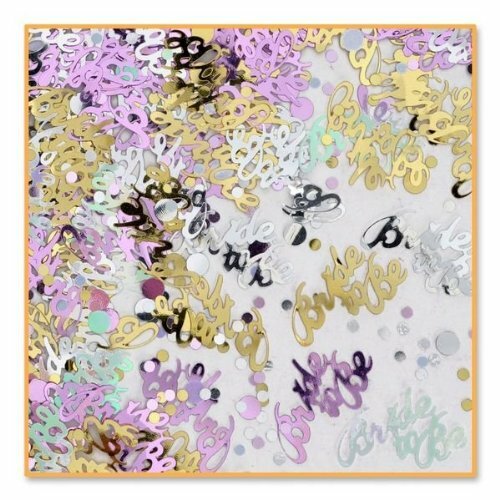 Beistle CN119 Bride To Be Confetti. 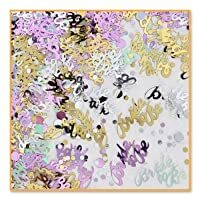 This package contains small pieces of confetti shaped as "Bride To Be" and dots in multicolor. There is a half ounce of confetti in the package. Spread this pretty confetti on tables for bachelorette parties or bridal showers!.